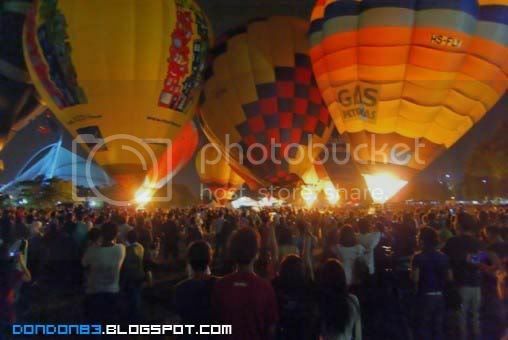 Here come the Hot Air Balloon Fiesta again. this time the event held a little bit longer compare to last year. Taking off at Putrajaya again. 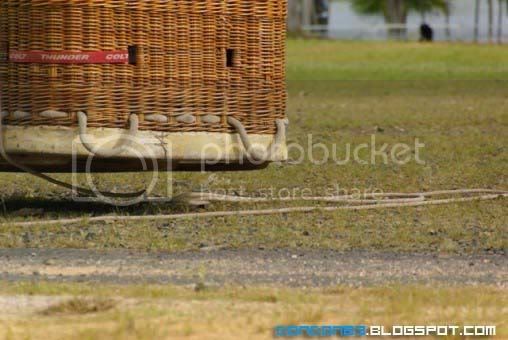 Preparation they did for the Hot Air Balloon event.doesn't seem easy to fly a balloon. 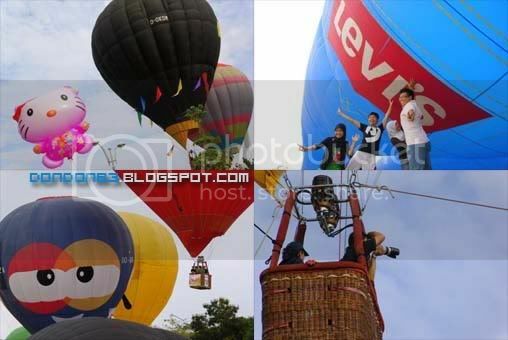 some lucky guys got a chance to shoot balloon from another balloon, oh ya,. 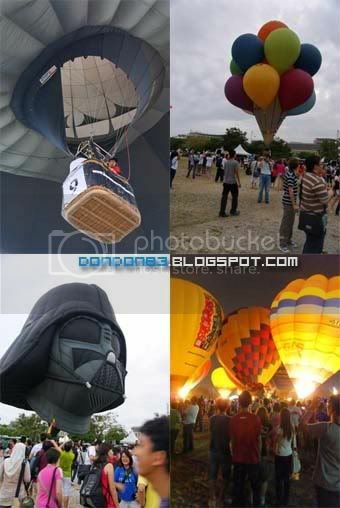 there is a GIANT Levis balloon this year. 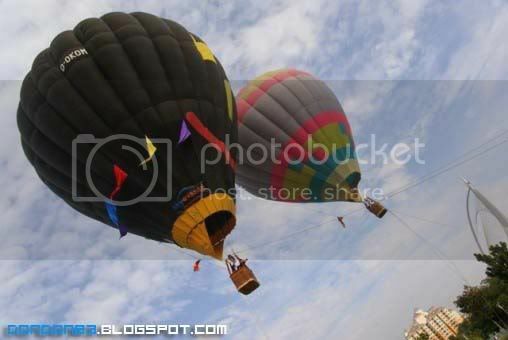 The 2 tethering balloon i got in picture, this year they added 4 more tethering balloon to earn some money from those who wanna get a ride on the balloon. 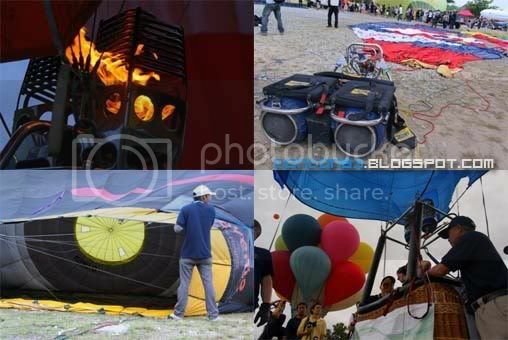 hmph..last year just 2 balloon and not all person stand a chance to ride it. 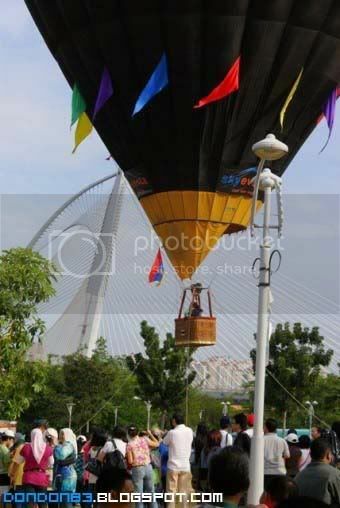 The Tethering balloon located somewhere in Putrajaya.. find it and ride it! more snapshot of the event. even Dark Vader did stop by here. looking for his son? Luke Skywalker? 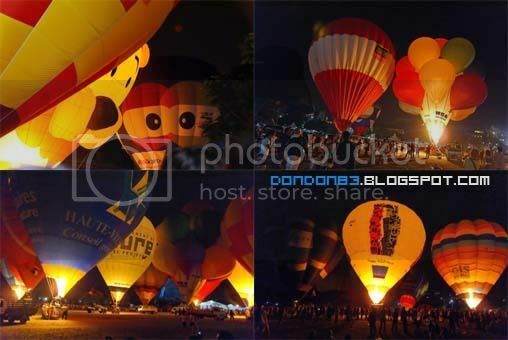 let show 1 BEHIND THE SCENE.. ahahha, dSLR like so cheap here until almost everyone have 1 in their hand.ops forgotten this year Hot air balloon entrance ticket? 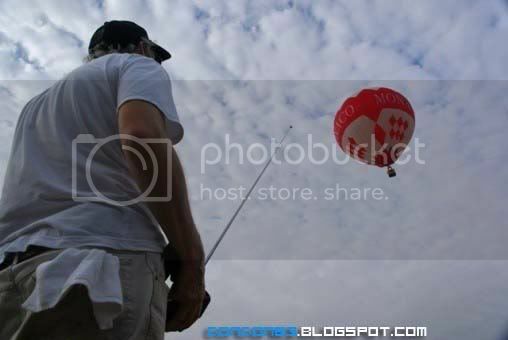 is actually dSLR, show them your dSLR, you may pass. The Night Glow begins! 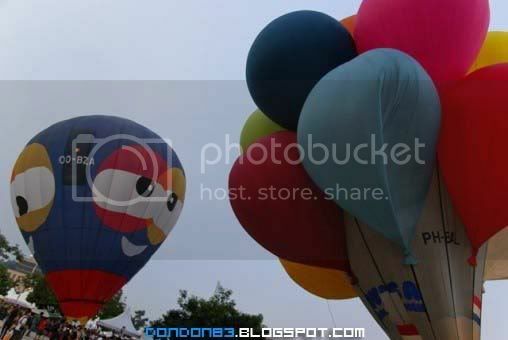 all the balloon is here in the field. and light up and off sync with the music rhythm. awesome! 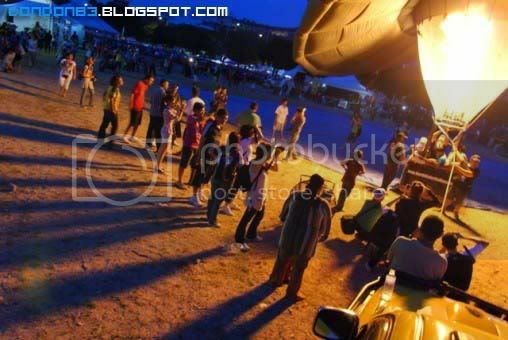 here's the details of this Second International Hot Air Balloon Fiesta. 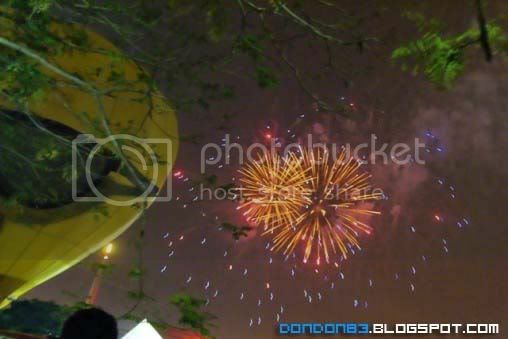 hope there is same event on next year. WooHoo!!! I'm At Kampung Beserah of Kuantan ! Over Mountain Cross River to Chiling Waterfall.